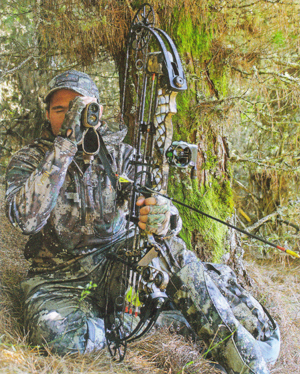 Figuring out the distance between you and your quarry is easily the biggest question that has to be answered when affecting an accurate bowshot while hunting. In fact accuracy and the correct estimation of distances share an inverse relationship; where the better you can range your target the smaller your margin for error. When I first started bowhunting my hunting was rather Spartan with just bow and arrows and a knife. When it came to judging the distance of a shot I would give it my best guess and let fly. This worked well at the start when I was full of confidence and ignorance but as soon as I missed a few shots and wounded and lost my first animal this method started to implode. My confidence reduced to a point where I was so conservative that Istarted backing my stalking skills to get within 25 metres, so that range estimation for those longer shots was mitigated. This increased my success but reduced how productive I was overall as my effective shooting range diminished to only those easy chip shots. Range-finding from a static position. I came to a crossroads during one of my early red deer roars. 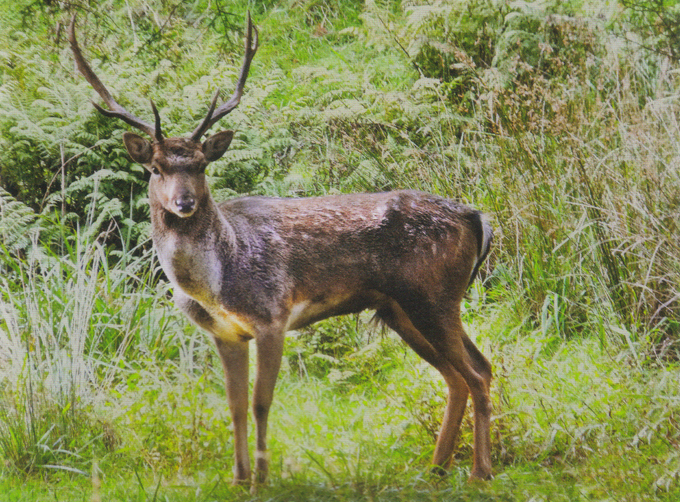 I could hear a big stag dealing to another subordinate stag in a punga gut across a swamp when all of a sudden the stags chased each other down towards me, with the smaller stag being chased off leaving the dominant stag standing broadside at what I estimated to be bang on 40 metres? 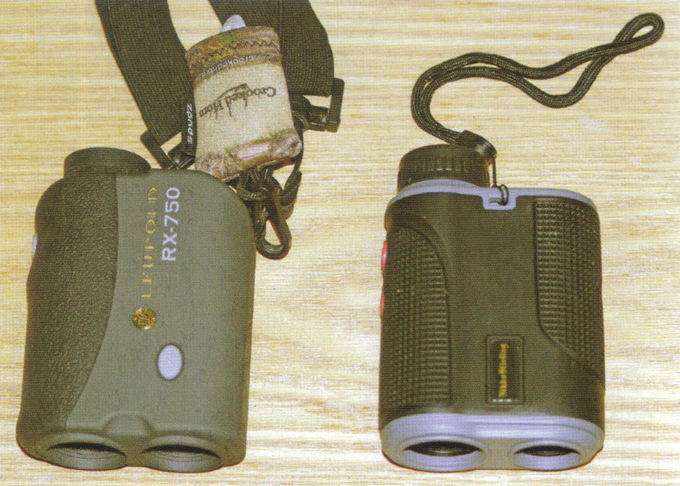 Modern laser rangefinders. I drew back and settled the 40 metre pin but didn't release. I second guessed the range and before I knew it the chance at that magnificent stag had evaporated as he trotted away. It was time to invest in a rangefinder! The next time I passed that point with my new Leupold range-finder hanging from my neck I ranged the tree that the beautiful red stag had been standing next to. The reading blinked and settled at 40.0m! There is a benefit to practising range estimation without a rangefinder as there will be times when you don't have time to range your quarry. There will also be times when the target will be close enough that you don't need to know the range. Remember that the less detail you can make out on the animal the further it will be away. You have to estimate slightly less for a steep uphill or downhill angle. The distance across voids such as deep gullies will appear a lot further than they really are. The best form of practice for range estimation is to pick out landmarks as you hunt and estimate the distance to them. Go with your first gut feeling and then check with a rangefinder if you can access one. You will soon find that with constant practice your estimation will improve. If you are actively wanting to avoid using a rangefinder in order to make the hunt more challenging and traditional, then you can help your cause by shooting a faster arrow which will flatten the arrow trajectory and reduce the margin of error especially at close range. The calculation of distances would not be a problem if bows had evolved to shoot an arrow with a flat trajectory much like a rifle. This however has not happened as even the fastest bows shoot an arrow with an arced trajectory. The next best thing would be to have a device that can measure the distances and calibrate it to the given bow. Before the nineties the idea of a hand-held unit that could somehow figure out the distance for you was something we could only dream of; enter the laser rangefinder. The rangefinder has evolved from a horizontal unit, much like binoculars, to smaller vertical units that can be operated in one hand with the operation buttons on top so that either hand can operate it. Some higher end sets of binoculars also have a range-finding function. The rangefinder uses a laser beam that shoots out towards the target and uses the time it takes to bounce back to calculate the distance. Angle range calculation, or ARC for short, is an application incorporated into many rangefinders which calculates the angle you are shooting and adjusts the distance to suit. Hence with a steep downhill shot at 50 metres the ARC will figure out the actual distance to shoot at, which will be shorter than the straight line distance and closer to the actual horizontal distance. This application can be set for different draw weight so check the setup manual. Confirm that your bow is calibrated to the ARC settings in your rangefinder by shooting targets at steep uphill and downhill angles and various distances before you go hunting. If your rangefinder does not have an ARC application then you can figure out the approximate percentage to take off your measurements by practicing multiple steep uphill and downhill shots. Remember this will only be relevant to the specific rangefinder and bow and arrow rig you are using. If there is a chance that your mate may range the animal for you with their own rangefinder, then check each of your range-finders against the same object to compare them. This is a must if the rangefinders are different brands. Also check to see if you are both in metres or yards. I remember ranging a hind standing broadside at 27 metres. My mate drew back and shot just over her shoulder. We both looked at each other puzzled and then checked our rangefinders. Mine measured 27 metres while my friend's one measured 34 metres off the same object! When ranging through thick cover use the scan mode, which is usually initiated by holding the power button down. This will give you multiple readings that will make the erroneous shorter measurements obvious. When ranging an animal you don't have to range its chest. If it means you stay out of sight you can range its hindquarter or the tree it is standing next to and use that. HANDY HINT: Always carry a spare CR2 battery on extended hunts. If you are hunting from a static position, such as a tree stand, use your down time to range obvious landmarks around you and memorise them so that if an animal arrives on the scene you can determine its distance without having to go back to your rangefinder and creating unnecessary movement. Remember that thick fog or mist will reduce the rangefinder's ability to secure a reading. For a largely hands-free operation I hang my rangefinder off my chest from a binocular harness. When needing to range I stretch the harness to bring the unit up to my eye to acquire the range, then as soon as I have registered it I drop the rangefinder which rebounds back to my chest. I can then adjust my bow sight and start the shot process while forgetting about pocketing the rangefinder. The balanced way to approach range estimation is to use the rangefinder at every opportunity while also being confident enough in range estimation to make a shot when a rangefinder cannot be used. I use a logical system where I do not consider using a range-finder when I can see the target animal in high detail. Usually this means I can see the texture of its hide which applies out to a distance of about 20 metres. Beyond that I will range the distance with the rangefinder and will seldom take a long shot without ranging it precisely. However, I will take a shot and rely on range estimation if time is running out, especially if it is a follow up shot. With a balanced and disciplined approach to range-finding you will be able to shoot with confidence and your effective range will be limited only by your ability to make the shot, rather than a lack of range-finding accuracy! ABOVE : An animal close enough to see the detail in its hide should not require a rangefinder - it is close! This fallow buck was about 15 metres from the camera lens. View all LASER RANGE FINGER models: View our Laser Rangefinder category.